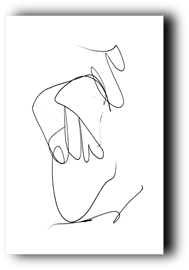 A Sphinx, that’s what Bach’s solo pieces for the violin and for the cello have become. 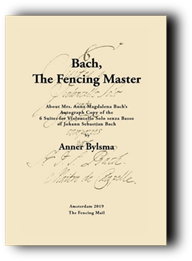 Three hundred years of opinions of lesser men - always lesser men that Bach - have made it impossible to read what it says in the wonderfully clear quill-pen texts, of which we all have copies. String music used to be a world of its own, full of idiosyncrasies like up- and down bow, crossing of strings, open string-notes, separate or slurred notes, playing near or far from the bridge, double stops with different lengths and tones with vibrato, with accents, or special diction in the middle. 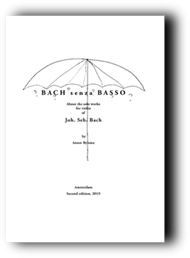 Nowadays, preconceived ideas of people, who do not even play a string-instrument themselves, often are directing our bow-arms. My books about these works should not be necessary at all for anybody, but at this moment they will be one of the few ways to re-discover some of the lost charm of our sphinxes. When string-playing is left to people who can only play to the tune of a ‘conductor’, the price of a Stradivari will soon be equal to that of a good saxophone. 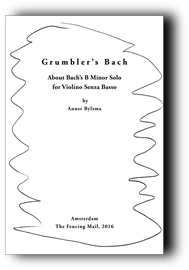 x) Grumbler’s Bach: About the B minor solo partita. 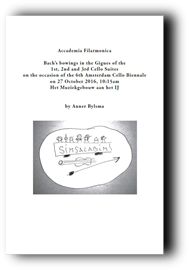 x) Accademia Filarmonica: About the Gigues of the first 3 Cello-Suites. Due to reorganization it is temporarily not possible to order books.